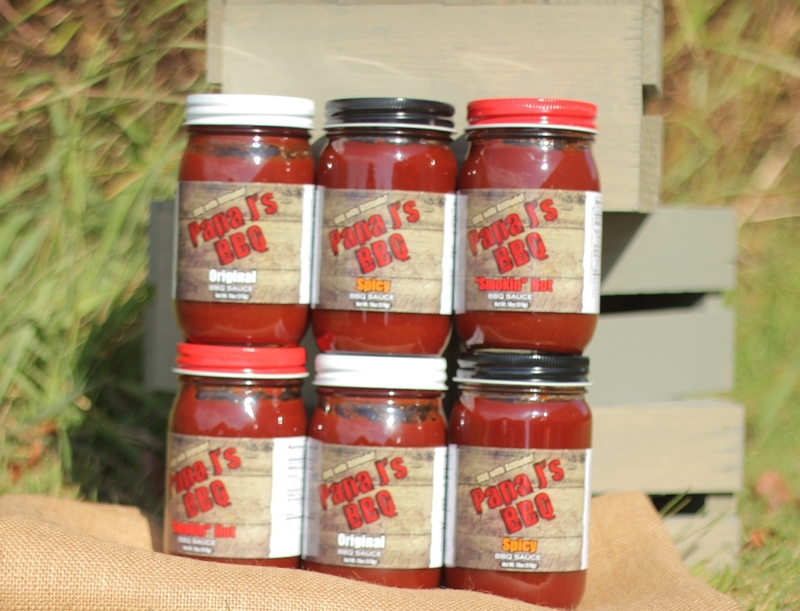 Papa J's BBQ offers three unique sauces that will blow your mind. Our Original sauce was the starting point of Papa J's. this sauce is the quintessential whiskey sauce. upon first taste you get that nice smooth whisky flavor with that traditional smokieness. Looking for that warm and fuzzy feeling? with the Spicy sauce we ask you to think outside the box of your traditional spicy sauce. we like to compare our spicy sauce to a fine cognac! this is a delight to your flavor palate. when tasting you will have that original flavor but as the sauce goes down your throat it will give you a nice warming sensation. With Papa J's Smokin' Hot BBQ sauce you once again get that nice smooth whisky flavor of our original sauce and after about 5 seconds a nice kick. this is not going to be a burn it is a good solid heat! !